Preserving the natural beauty of this stunning frozen landscape reminds us of nature’s fragile balance and endangered wildlife. 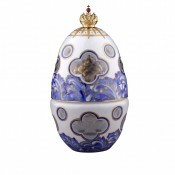 The Egg is created in crystal and is hand-painted and cut to resemble a ship upon the seas. 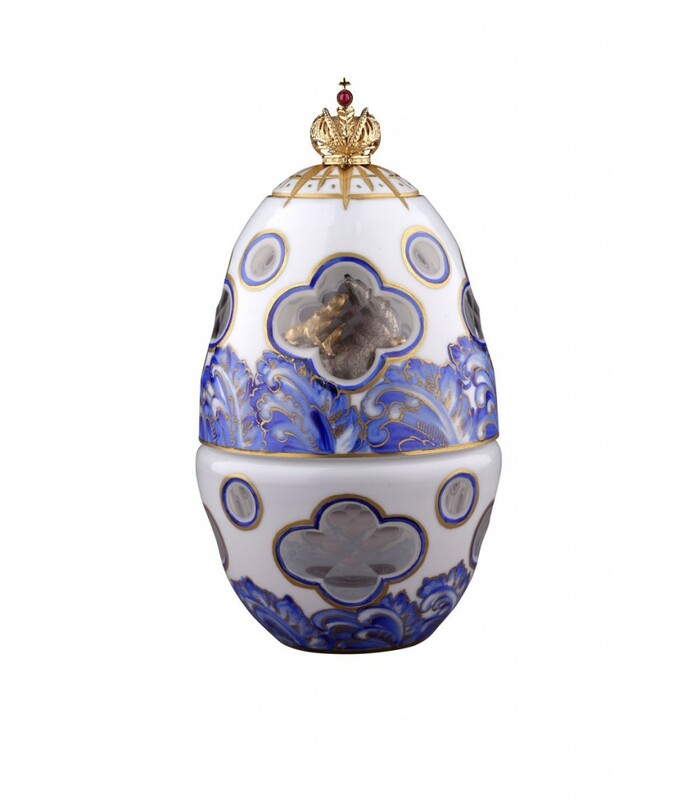 The finial represents the Imperial Romanov Crown set with a cabochon ruby. 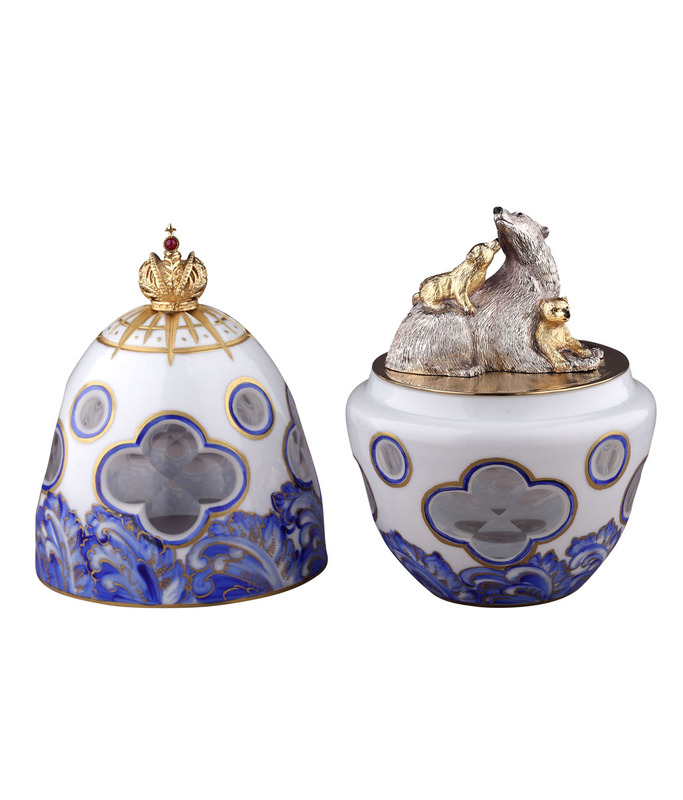 The surprise within, is a proud mother polar bear playing with her two cubs, all crafted in 24 carat gold and sterling silver upon a white snow covered vermeil base. Each creation is numbered and bears Theo Fabergé’s name. 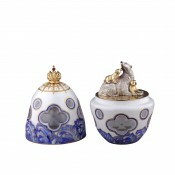 Presentation in a golden carriage-case with limited edition certificate.